Putting up with PAIN? You are not alone. Studies have shown that approximately 20% of adults in Australia suffer moderate to severe chronic pain. But what is chronic pain? The most common way of thinking of the difference between acute and chronic pain is from the time interval since the onset of pain. There are other ways of differentiating acute and chronic pain: the symptoms and sensations are different for example. Acute pain manifests with symptoms such as a sharp, aching sensation in which the sufferer can distinctly localise. The reaction from the brain is spontaneous and instant, which drives the individual to seek ways to alleviate the pain. 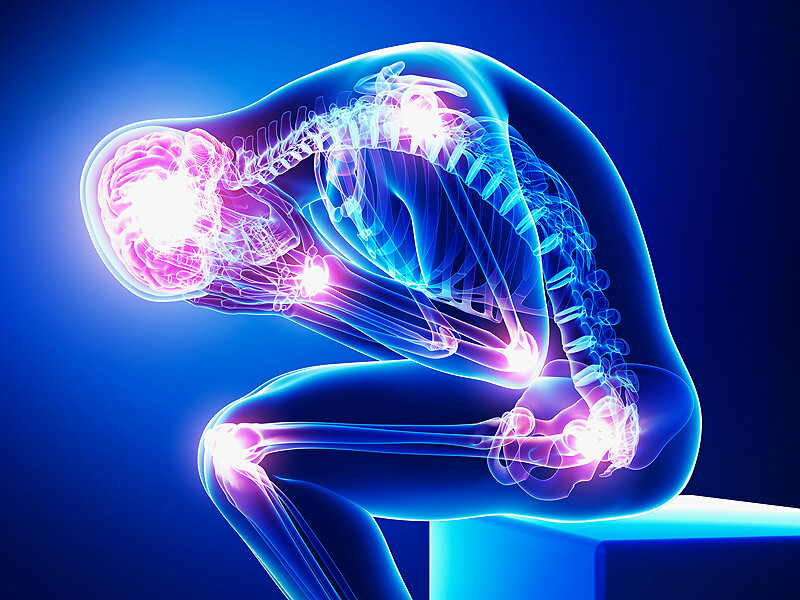 The mechanism of development of chronic pain is still not fully understood. Chronic pain on the other hand can be the direct opposite of acute pain. This form of pain is sometimes dull, or “in the background” and can’t be pin-pointedly localised. The individual might also complain of general unwellness and the mood is usually affected. More often than not, many learn to “live with it (the pain)”. “Living with it” is layman terms of neuroplasticity. New research from the University of Adelaide is shedding new light on chronic pain and the brain. “…Neuroplasticity is the term used to describe the brain’s ability to change structurally and functionally with experience and use. “Neuroplasticity underlies our learning and memory, making it vital during early childhood development and important for continuous learning throughout life,” says Dr Ann-Maree Vallence, a Postdoctoral Fellow in the University of Adelaide’s Robinson Institute. Dr Vallence, who is based in the Robinson Institute’s Neuromotor Plasticity and Development Group, has conducted a study on patients with chronic tension-type headache (CTTH), a common chronic pain disorder. CTTH is characterized by a dull, constant feeling of pressure or tightening that usually affects both sides of the head, occurring for 15 days or more per month. Other symptoms include poor sleep, irritability, disturbed memory and concentration, and depression and anxiety. “People living with chronic headache and other forms of chronic pain may experience reduced quality of life, as the pain often prevents them from working, amongst other things. It is therefore imperative that we understand the causes of chronic pain, not just attempt to treat the symptoms with medication,” Dr Vallence says. In this study, participants undertook a motor training task consisting of moving their thumb as quickly as possible in a specific direction. The change in performance (or learning) on the task was tracked by recording how quickly subjects moved their thumb. A non-invasive brain stimulation technique was also used to obtain a measure of the participants’ neuroplasticity. “Typically, when individuals undertake a motor training task such as this, their performance improves over time and this is linked with a neuroplastic change in the brain,” Dr Vallence says. “The people with no history of chronic pain got better at the task with training, and we observed an associated neuroplastic change in their brains. However, our chronic headache patients did not get better at the task and there were no associated changes in the brain, suggesting impaired neuroplasticity. If you think you are suffering from chronic pain, talk to us.